This is true of her latest novel, "Heat Wave" (Ballantine Books, 304 pages, $25.00, also available as an eBook, and for you really lazy types, as a Random House audio). Set on Nantucket Island, "Heat Wave" explores how 32-year-old Carley Winsted copes with the death of her husband Gus at the early age of 37. In the wake of Gus's death Nancy learns of other secrets, which I won't discuss because they're spoilers, and declines the offer of Gus's parents to move out of their large historically significant house into theirs. It's the last thing Carley wants to do, much as she likes and respects her in-laws. What do you do when you own one of the grand old houses on an island that's a tourist mecca? Easy answer: You transform it into a bed-and-breakfast, which Carley does with a little help from her friends, both male and female. Carley’s mother-in-law, especially, doesn't like the idea, believing that bed-and-breakfast inns aren't respectable (what a quaint idea!) Further complicating challenges faced by Carley, her friend Maud asks her to keep a potentially explosive secret that, if revealed, will undo families and friendships on this tight little Massachusetts island. As if all this isn't enough, her late husband’s former law partner keeps showing up at the most unexpected times, forcing Carley to cope with a number of mixed feelings. And then, during a late-summer heat wave, the lives of Carley and her friends and family will be forever changed in entirely unexpected ways. 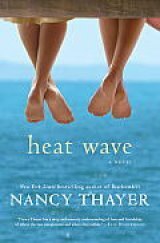 "Heat Wave" is vintage Nancy Thayer, a recognized brand for beach reads on steroids. 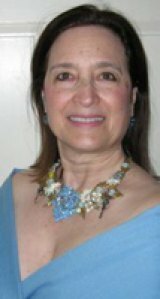 Her books delve into the mysteries and romance of families and relationships: marriage and friendships, divorce and love, custody and step parenting, family secrets and private self-affirmation, the quest for independence and the normal human hunger for personal connections -- all in a very readable manner. Enjoy "Heat Wave" along with a cool drink...and plenty of sunblock. About the author Nancy Thayer is the author of 21 novels, including Summer House, The Hot Flash Club,Beachcombers. Her first novel, Stepping, was made into a 13-part series for BBC Radio. Her novel Spirit Lost was made into a movie by United Image Entertainment. She has a B.A. and M.A. in English literature from the University of Missouri at Kansas City. Thayer has lived on Nantucket Island year-round for twenty-six years with her husband Charley Walters.